The idea of desirable-damage does seem an oxymoron. As a collector you would think I’d want my games too look as good as the day they were first put together; as close to new as possible. While this is true to a certain extent I’ve become aware that when spending large amounts on games caution is required. There is such a thing as too good when it comes to box condition. As should be apparent I collect Super Nintendo games, which were of course originally sold in cardboard boxes. It is because Nintendo opted for paper rather than plastic when it came to packaging their games, that collecting for the Super Nintendo is much more expensive than collecting for Sega’s Mega Drive. It’s less likely that a game box has remained pristine when it is made from a flimsier material, consequently ‘boxed complete’ Snes boxes are much rarer and cost more, despite them being the same age as plastic Sega equivalents. 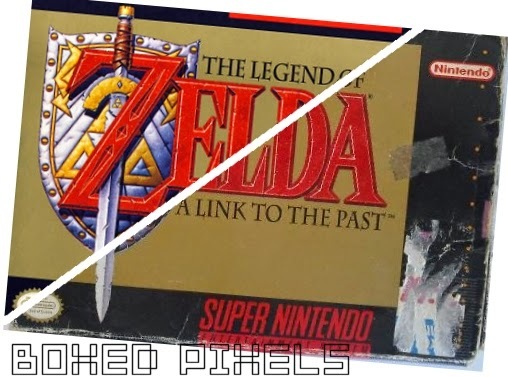 In some cases, the box for a Super Nintendo game has become more expensive than the game its housing, which has lead to a rise in counterfeit boxes being listed on eBay, either honestly labelled as “Reproduction” or deceptively portrayed as the real valuable thing. This week, I have written an article for ‘Retro Collect’ that explores this. It looks at the idea that for a game to be authentic it should have a suitable amount of wear and tear that reflects its age. The piece can be read here and hopefully it will convince you that sometimes a mint condition game isn’t always what it seems.